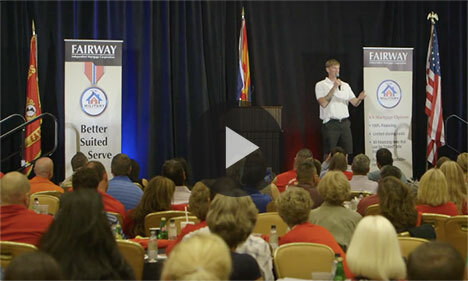 The AWI is a nonprofit spearheaded by Fairway Independent Mortgage as a way to “educate, encourage, and inspire Americans to give back to our military.” One of the most important parts of this program is the extensive education offered for real estate agents and mortgage professionals throughout the country. The American Warrior Initiative has contributed over $300,000 in grants and donations to Veterans since its inception. Additionally, over 25 free homes have been given to Veterans since 2013. 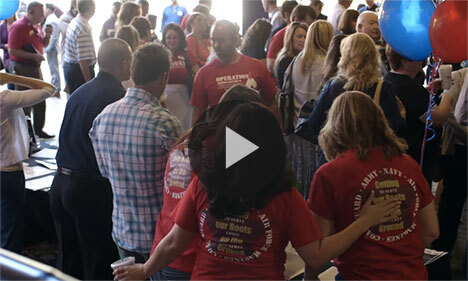 See how Fairway Gives Back! Executive Directors Sean Parnell and Louise Thaxton have delivered Certified Military Residential “Boot Camps” to over 8,000 real estate agents across America. 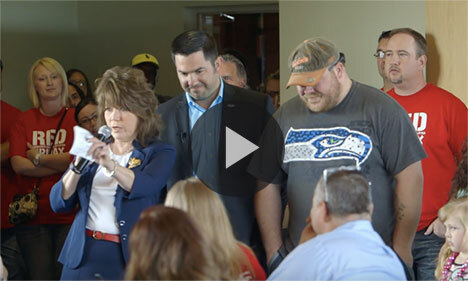 These Boot Camps serve to educate real estate professionals on the challenges faced by our military men and women when they return home from war. Why should buying a home be one of those challenges? Dozens of local initiatives were funded across the country by the American Warrior Initiative in the past 13 months, including family trips to Disneyworld, washers and dryers for homes, home gyms, and cars for our heroes. Several Veterans have also noted how gifts to them, including service dogs, saved their lives while they readjusted to life at home.